Across the world, international organizations have numerous staff members placed in high-risk, dangerous locations. Political turmoil and instances of violence could occur at a moment's notice, forcing the company to make the tough call about when and how to best evacuate its employees. In few places is this more relevant today than in Ukraine. Political upheaval and uncertainty about the future climate of the country has placed many expats and members of international organizations in danger. As a result, a number of operations have ceased and workers have left the country in a hurry. If this is the case for your company, a lack of political evacuation insurance might leave you footing the bill for each staff member, costs which would be significant for any organization. However, the right insurance coverage can provide financial relief and assistance developing an emergency response strategy, so all employees are safe and secure in the event of political turmoil. The situation in Ukraine shows few signs of slowing down anytime soon. According to The Guardian, the acting president - Oleksandr Turchynov - has asked that all military operations against pro-Russian forces resume in the eastern part of the country. This comes on the heels of an alleged report that two men were tortured to death by the separatists. "The terrorists who effectively took the whole Donetsk region hostage have now gone too far, by starting to torture and murder Ukrainian patriots," said Turchynov, the media outlet reported. "These crimes are being committed with the full support and connivance of the Russian Federation." While tensions are high in Ukraine, representatives from the U.S. and Russia, along with Ukraine, have been engaging in discussions to solve the growing crisis. However, little progress has been made as of yet, leading to uncertain and volatile security situations across the country. In response to the current political climate in Ukraine, the U.S. Peace Corps has announced that it has evacuated all of its members based in the country. Before the situation changed, more than 200 volunteers were working with youths in the areas of education and community development. The mass evacuation began at the end of February, and the Peace Corps released a statement confirming that all volunteers were safe and accounted for. As time passes, the organization vowed to monitor the situation with the hope of returning in the near future. At the moment, though, that seems unlikely, as the Peace Corps noted that the safety and security of its members are a top priority. Clements Worldwide has over 60 years of experience helping international organizations protect themselves with political evacuation and other forms of specialty insurance. Call us at 202 872 0060 or email request@clements.com to learn more. Chopra notes that, in this day and age, compliance is a necessity, so it is essential for the companies he works with – companies that operate in 170 different countries and in some of the highest-risk regions in the world – that they embrace compliance rather than challenge it, seeing the value proposition in a robust compliance program. While Clements advises its companies on their own compliance programs, it’s essential, Chopra says, that the insurance provider gets its own house in order first, so it can be seen as practicing what it preaches. To that end, Chopra states that Clements sees three distinct categories of compliance. First, there is financial compliance, which usually comes down to a matter of by-the-book audits. It is, therefore, the clearest type of compliance for most companies. Then there is the slightly more complicated matter of regulatory compliance, which has many facets. With regulatory compliance, there are specific tasks concerning matters of corporate governance, licensing and more, that vary from industry to industry. When companies operate internationally, these matters become even more complex. The final category of compliance is business compliance, which covers a wide spectrum. Companies need to consider a business continuity plan, a way to secure data, and other matters that allow them to deal with any losses that may occur. This, says Chopra, is the keystone of any compliance program. The biggest mistake companies can make in this area is to wait until something happens and figure it out from there. That might work in the case of a disaster, like an earthquake, but a crisis like a rogue employee is far more complex and requires preparation. In dealing with companies like international aid agencies that work in the most challenging areas of the poorest nations in the world, Chopra finds that a lot of decision makers in these organizations lack the foresight that would help them avoid risk. They do business in areas that are often lawless and rife with turmoil. If a high-profile event, such as a terrorist bombing, should occur, insurance rates with skyrocket for late adopters. To that end, risk management plays a huge role in compliance programs, which is why Clements offers discounts for companies with strong compliance records. According to Chopra, companies need to start looking at compliance as a way to create value and decrease variability, which businesses hate. “Risk management is a way of reducing variation,” Chopra explains. And understanding a range of outcomes can help any company deal with ever-changing regulations and business factors that can upset the apple cart. While there is a certain allure to traveling the world and experiencing new countries and cultures, many people forget is that there is a very big difference between being a tourist and being an expat. The latter often brings more legal requirements, paperwork, responsibilities and risk. However, the rewards are great, as long as the proper steps are taken beforehand. One of those includes acquiring adequate international insurance coverage. A long-term stay and potential employment opportunities bring a set of problems unlike those that domestic workers experience. Therefore, having the right protection in place can make life overseas more comfortable for you. Kerry Hannon, a contributor to Forbes, wrote that doing a little homework before making the move abroad can be beneficial. She explained that there are many elements that go into being an expat, such as getting visas, setting up bank accounts, taxes and the language barrier. Figuring out which country works best for you can help you find a job, open a business and live safely. Before becoming an expat, you may want to take an extended vacation as a tourist, Hannon noted. This step could be exactly what you need to figure out which country is the one you want to move to. Spending several months abroad will shed light on the pros and cons of a new nation, and it will allow you to really feel confident in buying a home and taking the plunge. In many countries, business etiquette is quite different than in the U.S. and the U.K. Your home country may be built upon quick meetings, rapid results and a demand for efficiency. However, that may not be the case abroad. Instead, take the time to learn the culture and embrace it. Doing so could help you find work and build a network overseas. Rica Facundo, a contributor to Rappler, wrote that working abroad is often more complicated than the life of a tourist. It requires contracts, paperwork and permits. With that in mind, she recommended that you know your rights before moving overseas. For example, your stay could often be decided by the length of your employee contract. Once that expires, so too does your work permit. Then, you'll have to find another way to legally stay in the country. Saving money is never a bad idea, especially for expats. Facundo explained that working overseas requires a frugal mindset, even for younger adults. The job market in many countries could be volatile, which means it is smart to have a little extra cash nearby in case of emergency. In addition, coverage - such as individual term life insurance - can help guarantee financial protection if something does go wrong. Having coverage is a good idea because it can prevent you from having to pay large expenses out of pocket, and mitigate risks while living abroad. Terrorist attacks and acts of war are becoming increasingly common across the world. Whether domestic or international, these incidents pose a serious security risk to expatriates living and working outside their home country. If you are heading overseas soon, you should consider comprehensive international war and terrorism insurance coverage. This type of indemnification is ideal to help mitigate the financial impact of such a violent act, and without it, you could be exposed to substantial monetary harm. In addition to insurance, it is also important to understand the terrorism hot spots that have been appearing around the globe. While some of the most dangerous locations are in the Middle East, incidents of terrorism could also occur in other regions. Today, one of the most active hotbeds for terrorist activity is a stretch of land spanning the width of Northern Africa, called the Sahel region. This zone stretches from the Atlantic Ocean to the Red Sea, and encompasses many countries, including Senegal, Mali, Algeria, Niger, Cameroon and Sudan. Currently, Africa's Sahel has also come under international scrutiny thanks to increased outbreaks of violence, terrorism and religious extremism. According to media outlet Voice of America, a number of factors have contributed to the rise in terrorist attacks reported in the Sahel region over the past decade. These include a proliferation in the number of extremist organizations, changing political and economic conditions and poor education, among others. "It is clear that an arc of instability is emerging across Africa's Sahel which has opened a path for al-Qaida to shift its center of gravity from Afghanistan and Pakistan to a new sanctuary and has created a potential launching pad much closer to US and European shores," Yonah Alexander, senior fellow at Potomac Institute for Policy Studies, outlined in his annual report on terrorism in North Africa. In order to combat these rising dangers, Voice of America stressed the importance of regional and international cooperation. Governments from across the world should coordinate with African nations to improve security, and it may take a broad strategy and a comprehensive approach to make Africa's Sahel region safer. While governments can take measures to decrease the threat of terrorism, you should still be prepared in case an attack does occur. Even in low-risk countries incidents are possible, so it is important to be ready wherever you end up in the world, including taking out an international war and terrorism insurance policy. According to U.K.'s Foreign and Commonwealth Office, terrorist attacks can include suicide operations, hijackings, bombings, shootings and the use of chemical or biological weapons, among others. Due to the wide range of potential attacks, you must take steps to mitigate your risk. Firstly, be aware of any changes in security levels in your current country. Increases in terrorist activity are often announced by the government. As an added layer of precaution, make sure you also follow along to current news in both the country and the region. In addition to these steps, the Foreign and Commonwealth Office recommended that you remain vigilant in all public areas, especially those frequented by tourists, expats and Westerners. For example, common terrorist targets include hotels, restaurants, bars and local businesses. Better yet, take steps to vary your routine. Falling into a pattern could further expose you to danger. Anything suspicious you notice while in public should immediately be reported to the authorities. Above all else, make sure you have the appropriate insurance coverage in place. An international war and terrorism insurance policy can provide financial relief following an attack, wherever you are in the world. Paying attention to your surroundings and being aware of current trends will also help you stay safe while abroad. Clements Worldwide has over 60 years of experiencing helping expats and international organizations with war and terrorism insurance. Call us at 202 872 0060 or email request@clements.com to learn more. Ebola virus disease is one of the most dangerous health hazards in the world. It brings with it an extremely high fatality rate, and has been known to affect hundreds of people each year. Historically, one of the most impacted parts of the world has been in Africa. Unfortunately, this trend has held true recently, and a new outbreak of the disease has already claimed the lives of more than 100 people in Guinea and Liberia, with the potential to spread to other parts of West Africa in the coming months. This outbreak highlights the importance of proper safety procedures and international health insurance for expats. Everyone living nearby is at risk of contracting Ebola, and should prepare accordingly. Over the past month, the number of Ebola cases in West Africa has been on the rise. According to the World Health Organization, a total of 158 cases have been officially reported as of April 9. In addition, 101 deaths have also occurred. Laboratory testing is ongoing to further determine the extent of the outbreak. Two countries that are most affected so far have been Liberia and Guinea. For example, six districts in Guinea have reported patients, including Conakry, Guekedou, Kissidougou, Dabola and Djingaraye. The most reported cases have been in Guekedou so far, at 96 total and 32 confirmed. In order to combat this outbreak, local health organizations have been working to establish assessment and training programs in major hospitals. The World Health Organization is also on hand to lend support. Unfortunately, it seems that the reported cases of Ebola won't remain confined to those two nations. New cases have already appeared in neighboring regions, and other countries close by are also at risk. The threat of Ebola has already caused problems for local businesses and other parts of the economy in West Africa. Problems could even arise for expats, and it is especially important to have comprehensive international health insurance available in case of an illness. According to Bloomberg, hotels in the region have already experienced a decline in business since the outbreak was reported. At the Grand Hotel de L'Independence in Conakry, the capital of Guinea, patrons have been calling nonstop to cancel all reservations. "At least 80 percent of our reservations have been canceled," Ibrahima Capi Camara, general manager of the hotel, told the media outlet. "Clients are scared to come because of Ebola." In addition to the impact on local businesses, expats may also have to be aware of changes with nearby borders. Many countries have taken measures to prevent the outbreak from spreading, Bloomberg noted, even though WHO doesn't support border closings as an effective method. For instance, Senegal recently closed its border with Guinea, and the Ivory Coast has prevented buses from traveling to both that country and Liberia. As a result, area residents and employers now have to contend with a fearful population. That has led to increased business disruptions and the potential for economic damage. Above all else, residents at risk should make sure to avoid contact with those that are infected, be careful when making travel arrangements and take out adequate international health insurance. 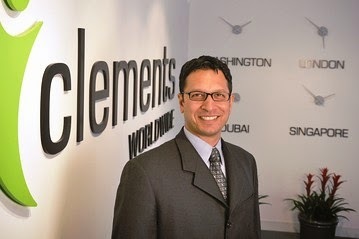 Clements Worldwide has been helping to protect expats globally for over 65 years. Contact 1-800-872-0067 or email request@clements.com for your comprehensive international health insurance plan now.